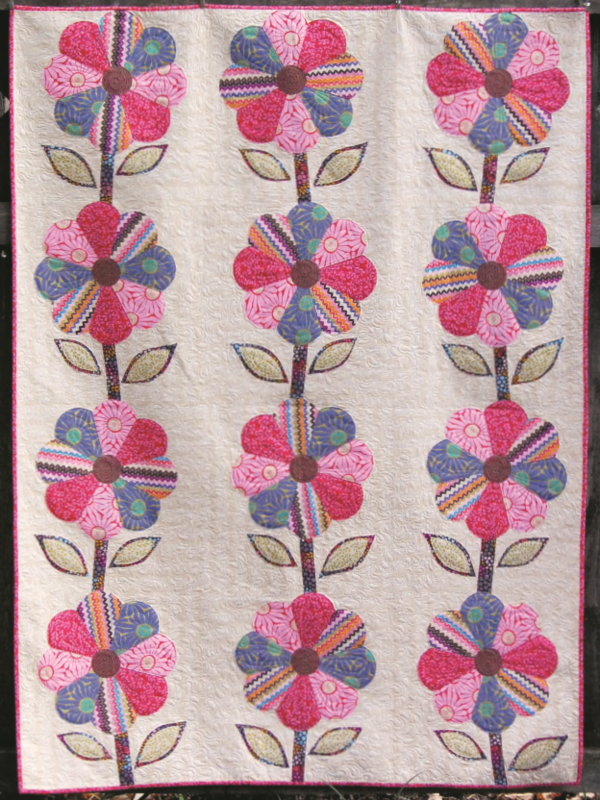 Dresden Plate flowers for chains of cuteness in this precious quilt! Time to flex your applique skills with this wonderful design by Jan DiCintio for DaisyJainie, featuring their Daisis 'N Such collection. This project is a couple years old, so you may have trouble finding the recommended fabrics, but the design lends itself well to multiple colorways, so feel free to experiment. Enjoy!